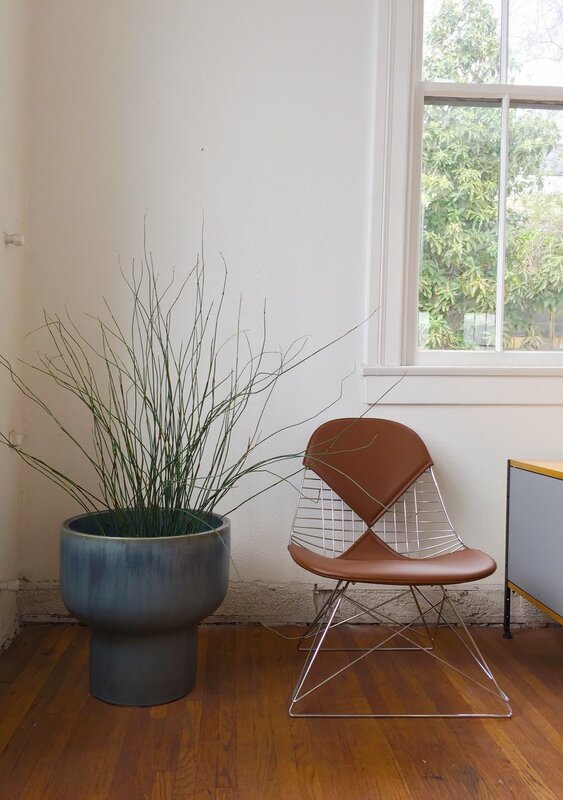 We were lucky enough to interview Ingrid Hernandez-Morrison, a California design guru who has worked at high-end modern furniture company Modernica for over seven years. 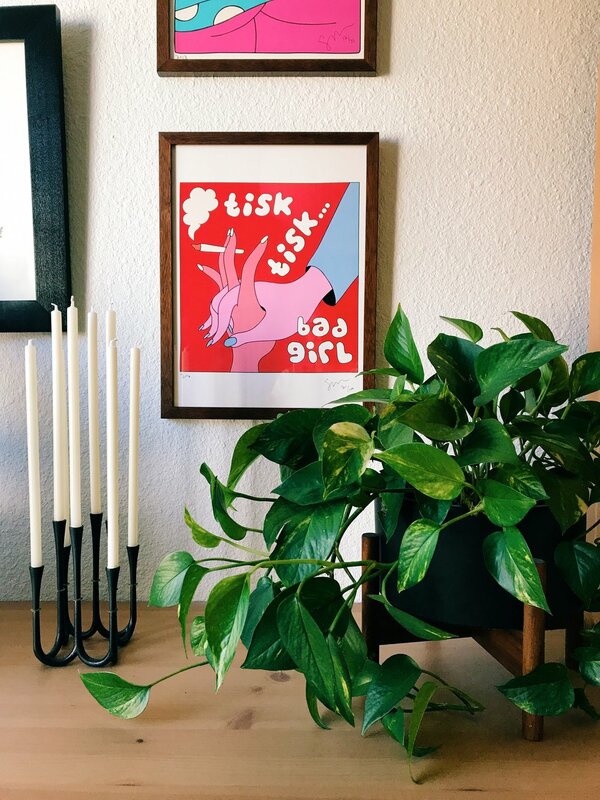 In our interview below, Ingrid discuses everything from how modern design influences her personal aesthetic, what elements make a room great, how the layout of public vs private spaces differ, TIps on Curating a design-themed Instagram feed, and more! How would you describe your overall design aesthetic? What are your most essential items to have in a room to make the space feel both comfortable and unique? My design aesthetic has matured as I've gotten older, but you'll still find some quirky object in my apartment here and there that will make you say, "whoa! what?" I tend to lean towards mid-century modern, the streamline and clean, not the kitschy. I've been exposed to California modern and the Case Study movement through my work and it has influenced my style quite a bit. I think most of us would want to live in a Case Study house. Scandinavian interiors are dreamy as well. There's actually an Instagram account, @scandinavianhomes, I could live in any one of the images on their grid, they do amazing work. I love neutral tones with subtle touches of color, feminine but not girly. The most essential items for me to have in a room are plants and artwork, you'd think these were simply accessories and not essentials, but I will convince you otherwise! I'm fortunate to have access to an amazing line of ceramics, they just follow me home from work somehow! I don't know if it has always been the case, but I feel that there's a strong plant movement going on. I used to consider it a mom/granny thing to tend to a garden, but today I know twenty year-olds that actually care about plants and fill every corner of their space with them. There's people like @hiltoncarter, whom I'm absolutely fascinated with, he has created a jungle in his Baltimore apartment! I'm currently trying to achieve this urban jungle look in my office. 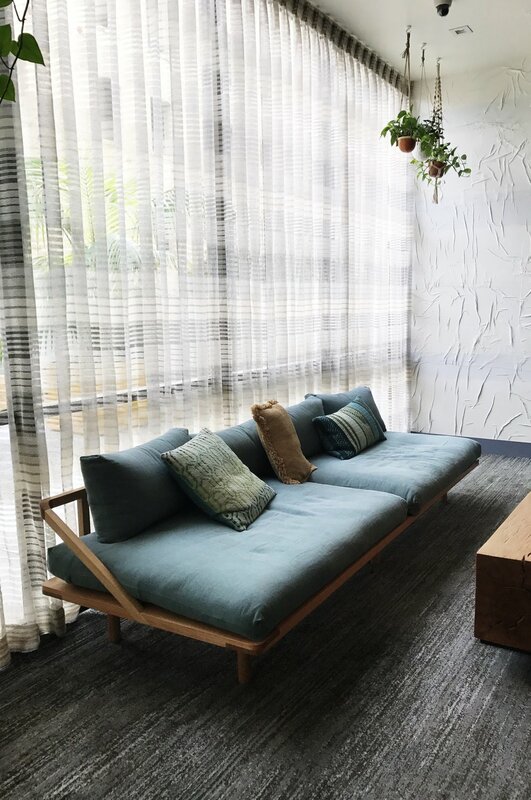 Plants truly make a space come alive, they purify the air and green is such a soothing color to have around. Go out there and get a plant, DM me for the planter discount! Art has always been important to me, all different genres. I've always had paintings and prints of female figures around me, they can be so mysterious and fun and they liven up a room, as women do! I've begun to fill my apartment in Los Feliz with artwork, primarily with female subjects, there's "La Señora" (informal title) which I bought at a local vintage shop called La Commune General, a painting my mother gave to me of a photo I gave to her, fun colorful prints I received as a gift from artist Fucci, and a couple of pieces I've picked up at flea markets. All are so different but I love them just the same. I actually just received a print from French artist @PetitesLuxuries that I'm so excited to have, very NSFW but totally okay for my apartment. A few months ago, I came across a home tour of designer Sally Breer's home, I've started to look for similar pieces. Her place is perfection, but it wouldn't be as memorable if not for the artwork in her home. I recommend finding pieces at vintage shops, you really don't have to spend a fortune when there's so many artists and photographers that offer prints for reasonable prices. I also have a set of three Mongolian men in my living room that were a gift from my friend and photographer @loganhavens. They're from one of Logan's trips and I loved hearing all about these men. Their day-to-day is so different from mine, they remind me every day that the world is much larger than what surrounds me, because that's something that's easy to forget when you live in Los Angeles. Do you think living in California has an impact on your design style? What are the kinds of things you find in California homes and businesses around your area that are maybe not as common in other parts of the country? 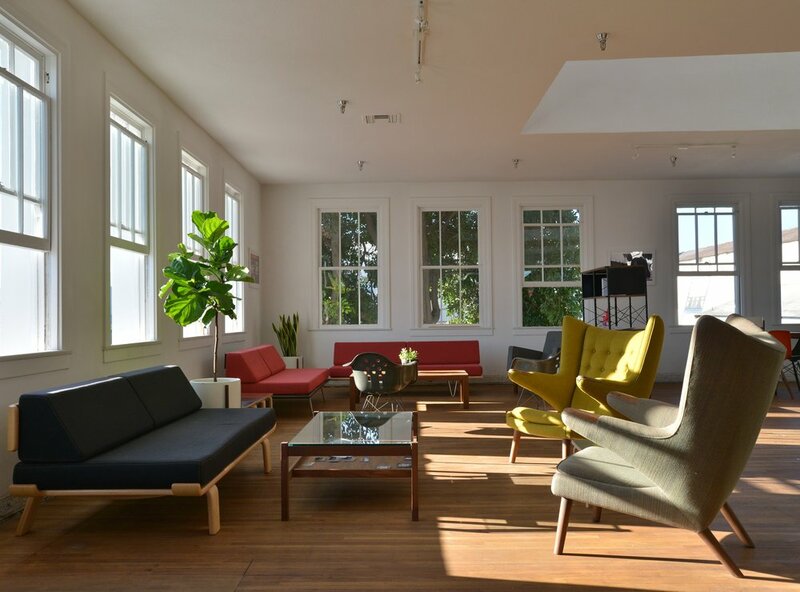 Do you think the warm temperatures and abundance of sunshine comes into play into how people design their spaces? I love California. Los Angeles in particular is highly influential. This is a place without a defined style, you're exposed to so much, from mid-century modern to Spanish revival, to the atrocious fauxtalian. We have it all! This is both a blessing and a curse. You're forced to learn about different architectural styles, you can't escape it. 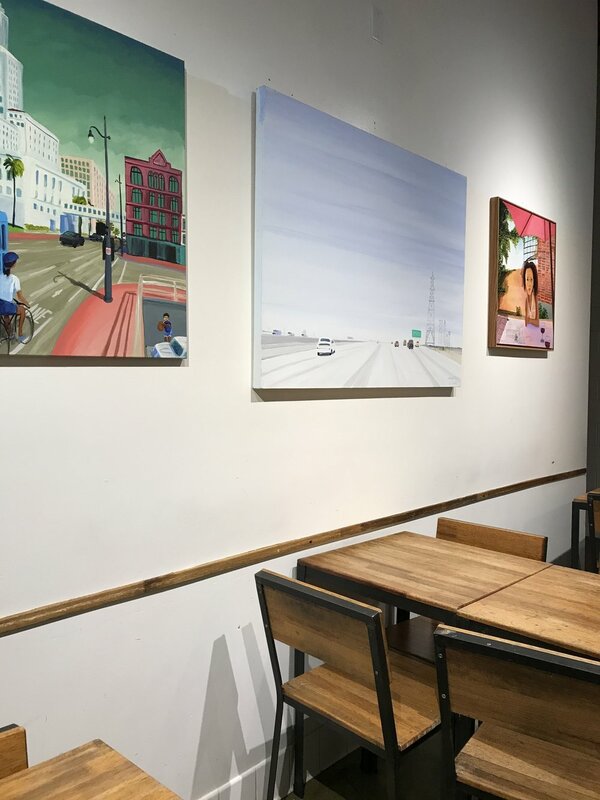 You can walk a city block and find completely different structures within that block - that's "so LA," as diverse and eclectic as its residents. 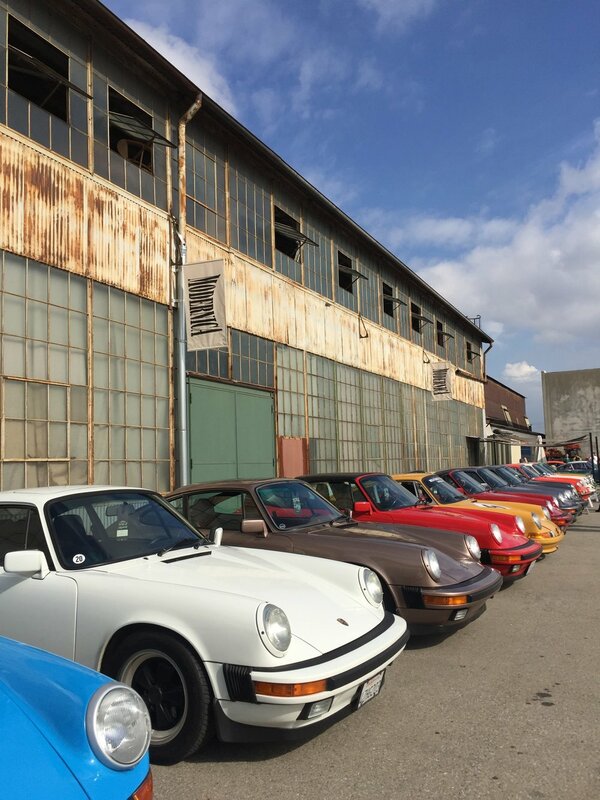 The perfect California weather plays an important role in design. The Case Study movement, which originated in California, has at its core design emphasis, blending the interior with the exterior. 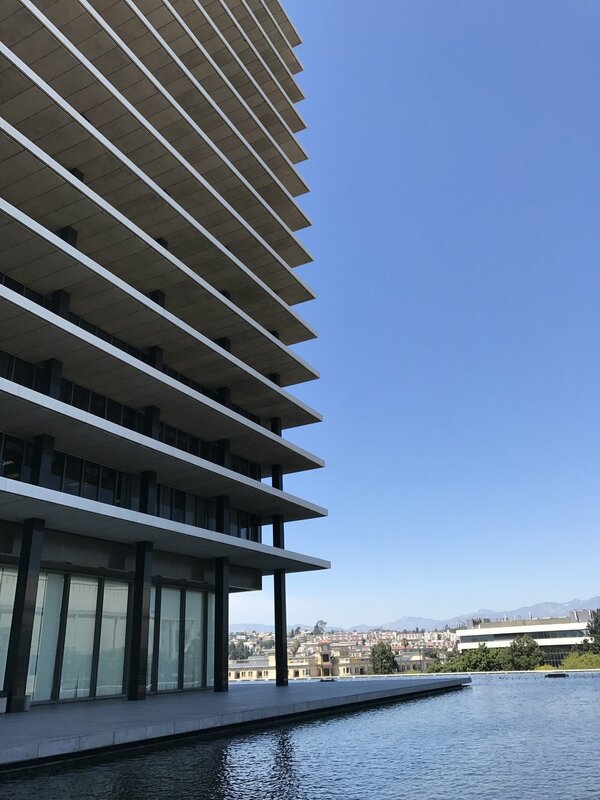 We see this in the mid-century homes that haven't yet been torn down or remodeled, with gardens from which living spaces can connect like Eichler houses, there's homes in the hills with glass walls like the iconic Stahl house, because there's nothing more stunning than a Los Angeles city view. 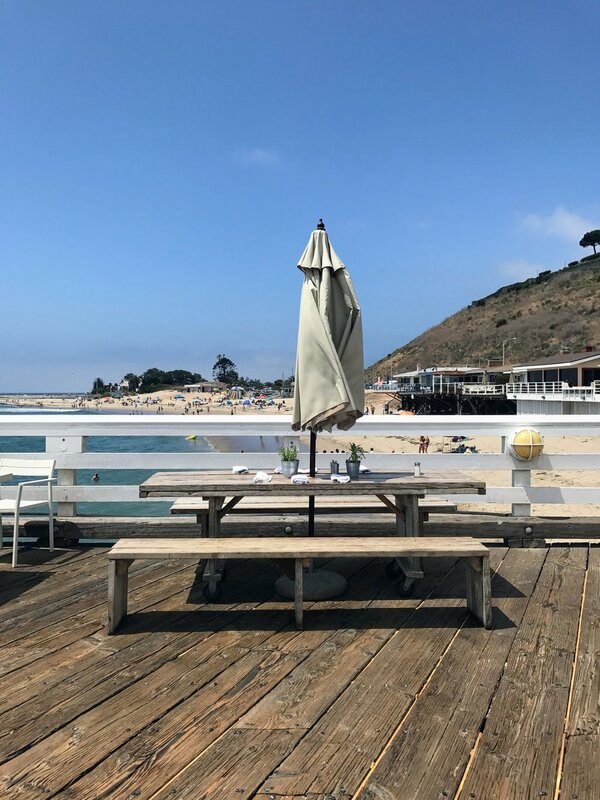 On a more local and attainable level, we have an abundance of restaurants with outdoor seating, we want to eat al fresco and people-watch! I live in Los Feliz, 20 minutes from Downtown LA. It feels like a small town and although it is mostly comprised of apartment buildings, we are at the foot of Griffith Park, where we can walk our dogs, picnic, or hike. A love for the outdoors is a common denominator for Angelinos. 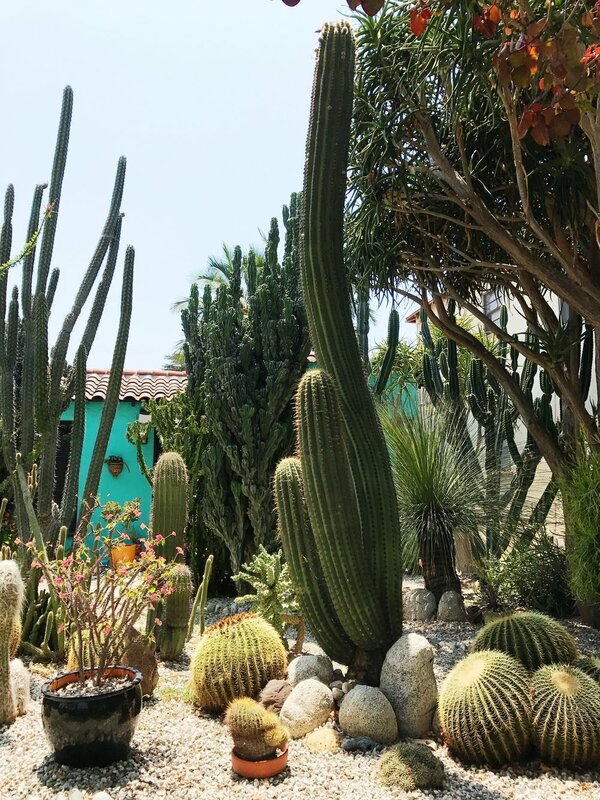 Can you tell us a bit about what you do at Modernica? How does working for a high-end modern furniture company affect your eye for design? 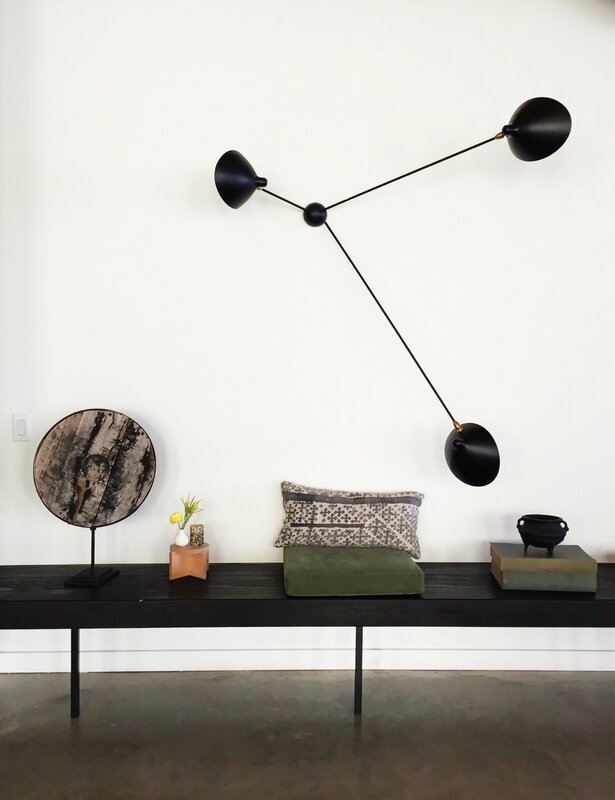 Do you have any favorite pieces at Modernica, and if so, what are they? 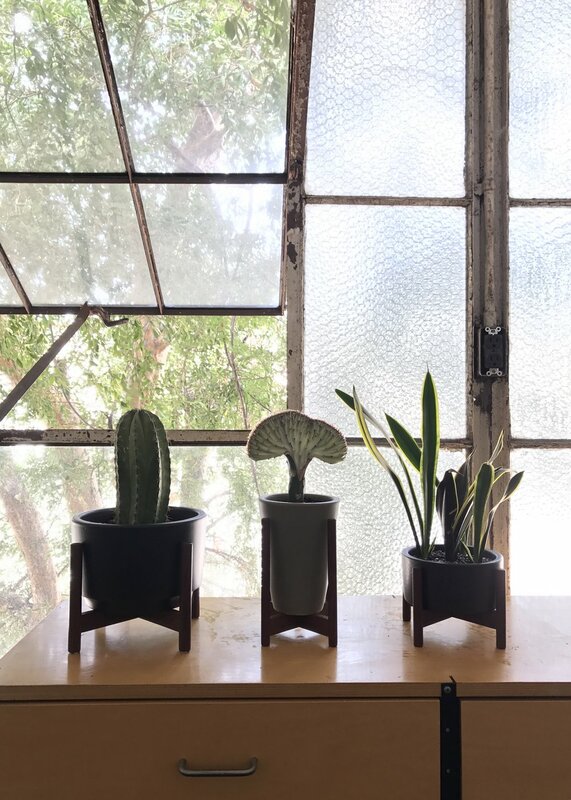 I've been working at Modernica for seven years, the company itself is twenty-seven years old and we also have a mid-century modern prop house - a must see when you're in LA. I wear many hats but my formal title is Marketing Manager. I work with bloggers and influencers, I'm involved with all of our factory events and tours, PR, and I contribute to the Modernica blog. I also work with our wholesale accounts, and special projects that come up throughout the year - it's a small company and therefore I get to be involved in just about everything. 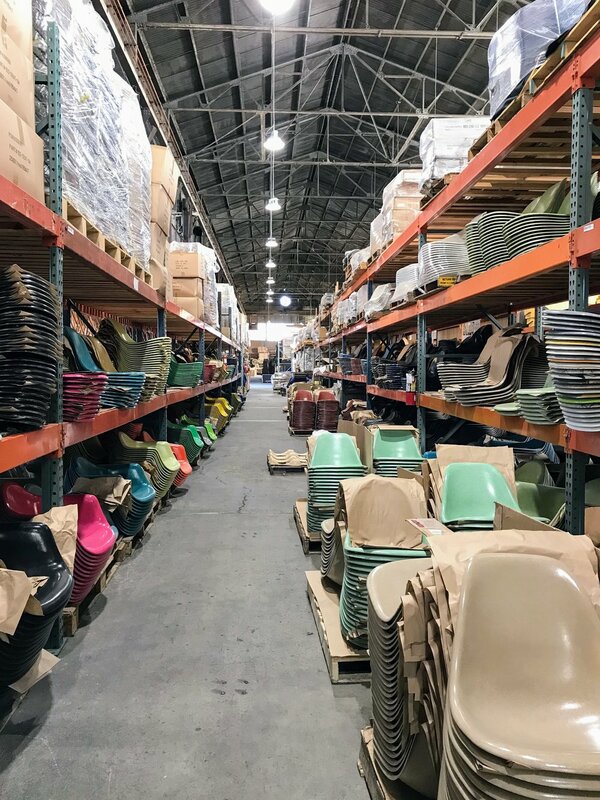 Some people don't know Modernica is family-owned and all the pieces are manufactured at the factory just outside of downtown LA, our offices are there as well. There are five buildings on the property. 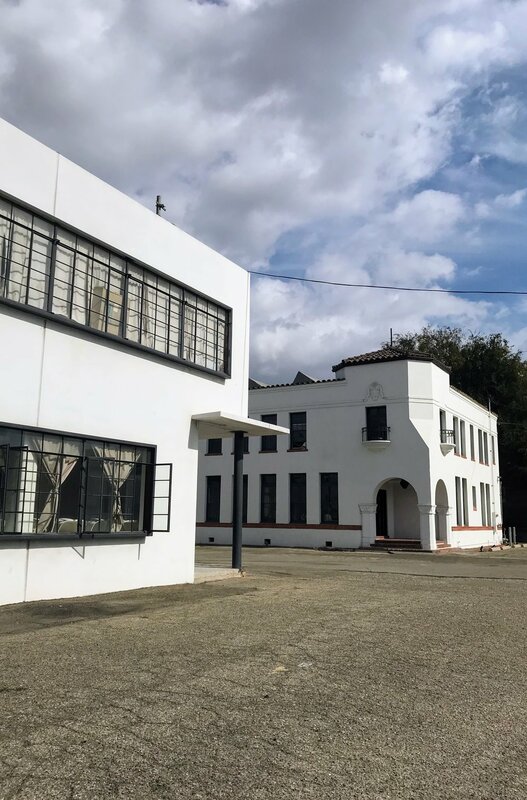 For years I shared an office in the main factory building and have just recently moved to my own office in a Spanish revival house built in 1930. So far I've filled up my new office with plants that we've used in photo shoots, I'm working on finding art for the bare walls. Craftsmanship is important to me, this stems from my father, who owned a door and window shop in Honduras before retiring a few years ago. I worked there sometimes when I was in university and learned a few things about business and manufacturing high quality products. Modernica takes it to a whole other level though. 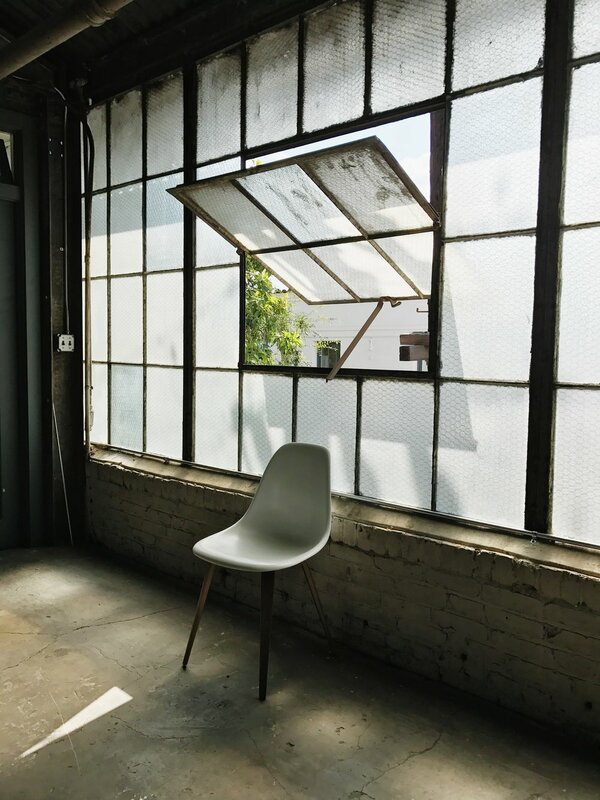 We see the lumber come in, pass through our wood shop's skilled workers and machinery, on to our upholstery department, and finally at the end of the line, you see this beautiful Papa Bear chair that was nothing more than lumber a few weeks before. I think more and more people are opting for quality and American-made, which is great, this keeps businesses like Modernica thriving and you know you'll keep your Modernica pieces for years and years, the quality is top tier. My favorite Modernica piece, aside from the Case Study Ceramics, is the Case Study Daybed. I love that the you can make it your own, with arms or without, you choose the fabric, the legs, and additional pieces like a corner unit or an ottoman. It's just so versatile and fits in any space. It's an understated but elegant piece. I managed to fit two in my apartment, and highly recommend them. 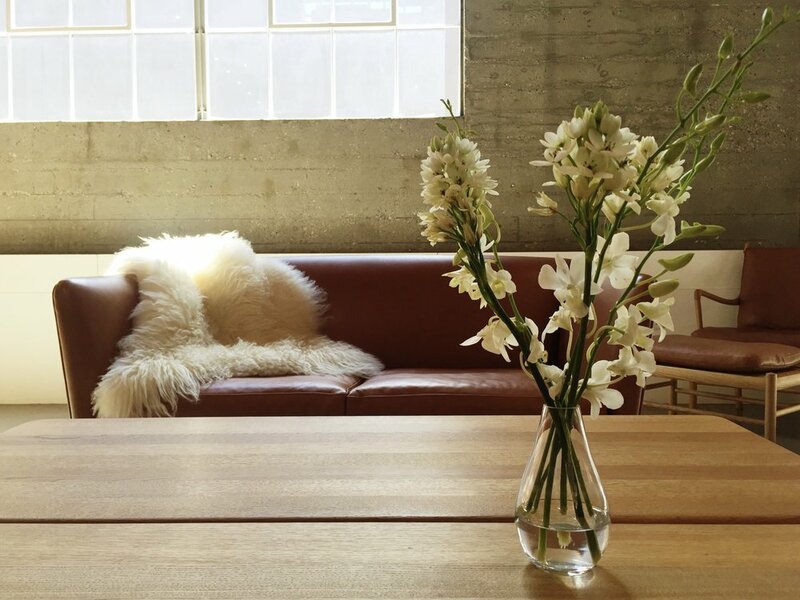 You share so many wonderfully designed spaces in lovely photos on your Instagram. What about capturing these spaces do you enjoy so much? 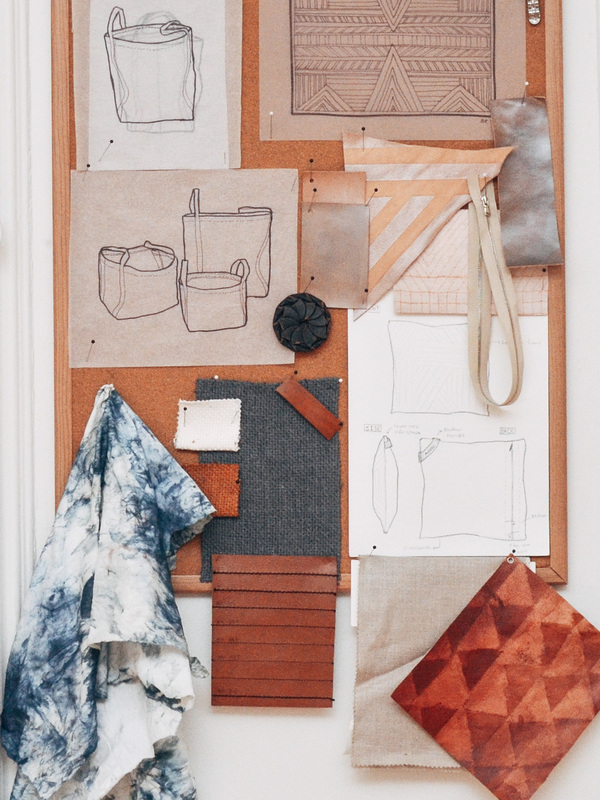 Did you plan to have your Instagram focus on design, or did it just kind of happen that way? I didn't intend to have an Instagram focused on design, in fact, it was all about flowers and my dogs (Milo and Lu) initially. But I began to photograph the lovely spaces I'd dine at. LA is filled with beautiful eateries and retail shops that are well thought out and just asking to be photographed and shared on Instagram. The most important thing I learned in architecture school was to see; to notice my surroundings, from the ceiling to the floor. I feel that Instagram has taught me to capture these things, I love photography but I am by no means a photographer. It's an art form and talent that I am not gifted with, but a very basic understanding can be attained by going through stunning images of well designed spaces. I can take it overboard sometimes with the picture taking at restaurants and shops, but I try to be as discreet as possible. 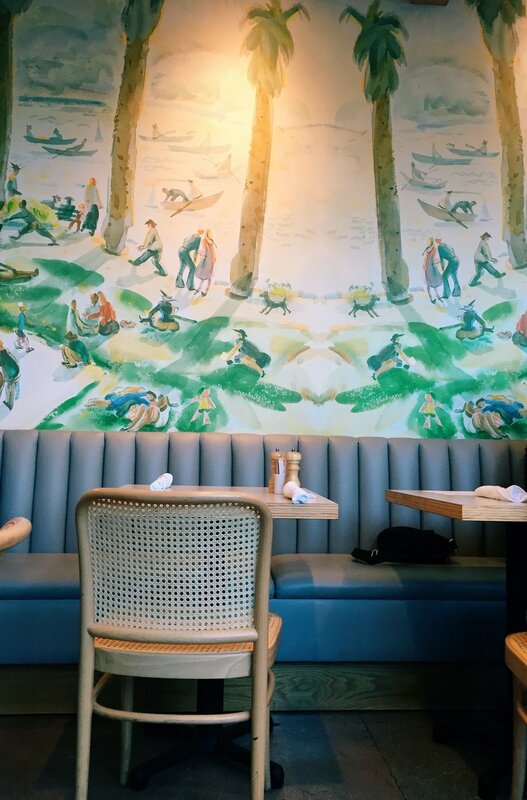 I am that person that rolls their eyes at influencers taking photos at the latest art-covered wall in downtown LA, but I will also ask my dinner date to move in order for me to take a nice shot of our table setting, I'm awful, I know! 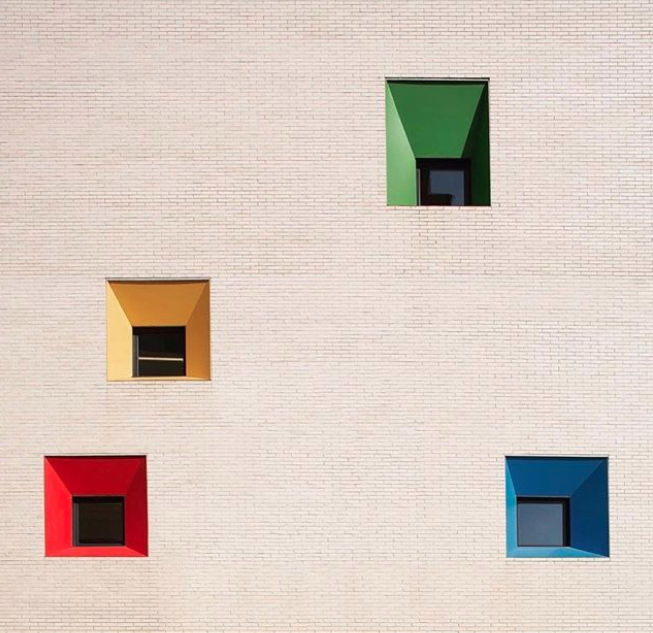 In that regard, how do you think Instagram has influenced design? Have you ever gotten ideas for your space from something you've seen on Instagram? Instagram is such a massive influential tool, it has replaced Pinterest for me. 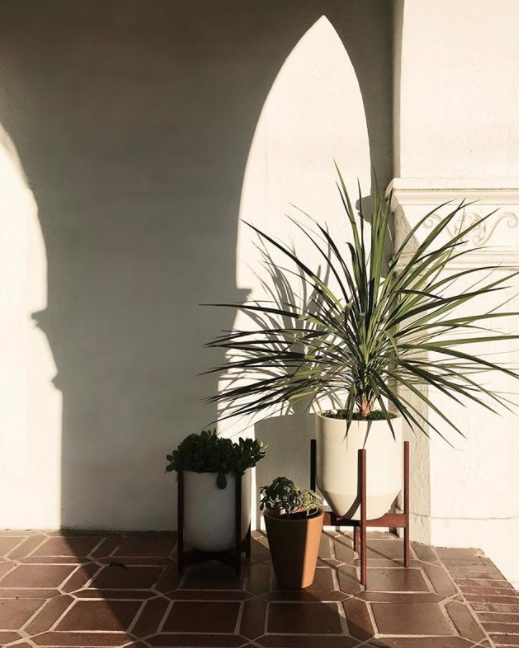 There's so much to see and be inspired by, I love the collections feature, I have so many albums that I refer to often for myself and for work, like places to dine at or architects I want to write about for the Modernica blog. I love to see what certain architects, designers, and artists are up to and you see the change sometimes, you see them evolve, I think this is true of everyone's personal Instagram as well. It's a timeline of events, spaces, meals, etc. I'm currently focused on my new office space and I've been looking for inspiration on Instagram. I don't want it to look like a standard office, I want it to look and feel like a 10' x 12' retreat. What do you think are some of the most important design components to include in a home, versus what kind of elements make a public space (like a restaurant) inviting? 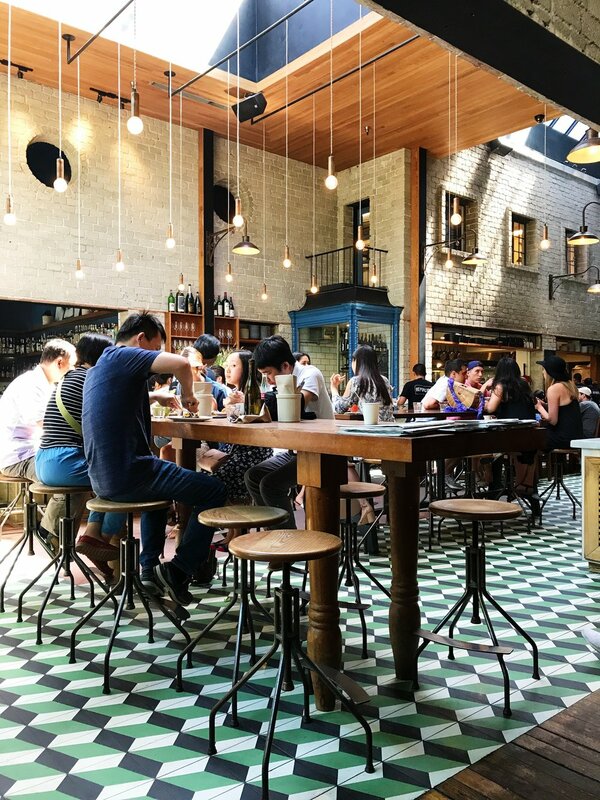 Do you find yourself going back to restaurants, shops, or bars that are more aesthetically pleasing than those that aren't? A home should be a reflection of you, I think it takes a while to figure out who you are and therefore figuring out your design aesthetic also takes time. I'm still working on both, but I'm almost there! I do know that being surrounded by things you love is important in a home. Pieces can be different styles and price ranges, but if you love them, then you're set! I think sometimes we purchase things because we need them, we don't take the time to find something that we truly love. I used to do this a lot (impulse buying) and ended up with an abundance of things I didn't care for. I'm now more conscious of the pieces I bring into my space. I'm more selective, and if I don't love it I pass on it an search some more. I recently went to a Matteo bedding sample sale and spent a small fortune, but for pieces I truly love. If I had had the money I would have purchased them at full price long ago, so I feel the splurge (even on sale) was worth it. Restaurants need to appeal to the masses, it's a business and sometimes every last detail is calculated and has been planned out. Colors and lighting play an important role in restaurant design, they set the mood and sometimes determine the time you'll spend there. Just look at fast food, brightly lit and primary colors will always be present because they don't want you to hang around longer than it takes to finish your burger and fries. I think with your personal space you have to be able to walk in and say "this is me," while with public spaces you can walk in and say "this is lovely and I'll spend a while here but it's not me 100%" - though sometimes you find that gem of a bar that is so you, and you start asking if they're hiring! And there's also those times when you're lured in by a pretty façade, but the food is mediocre! I fall for that more often than I'd like to admit! 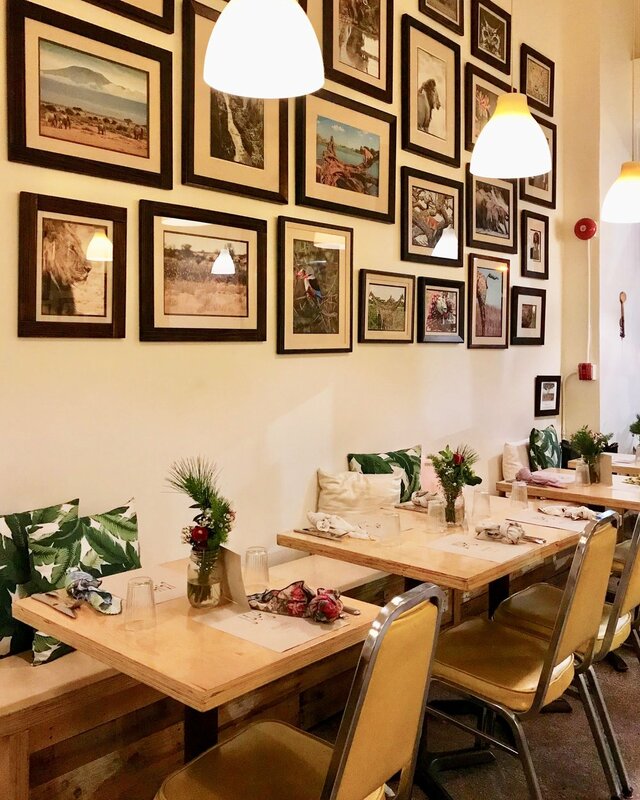 I think even hole in the wall places have something special about them, it can be their cloth napkins, the washroom mirror, or even the person serving you! As cheesy as it sounds, you can find beauty anywhere if you look closely enough. And finally, can you tell us if you have any designers or Instagrammers you follow whose design aesthetic inspires you? I follow so many people on Instagram and I'm constantly on it, it's just such a great escape you can take at the tap of an icon. The list of people I follow grows daily, from interior designers, travelers, shops, and artists, my eyes just cant seem to get enough! I've mentioned a few already but I must add @therow, talk about a perfect balance of art, design and marketing, Mary Kate and Ashley have the finest taste and it spreads on to the people they hire to handle their social media. That account is a great source of inspiration. 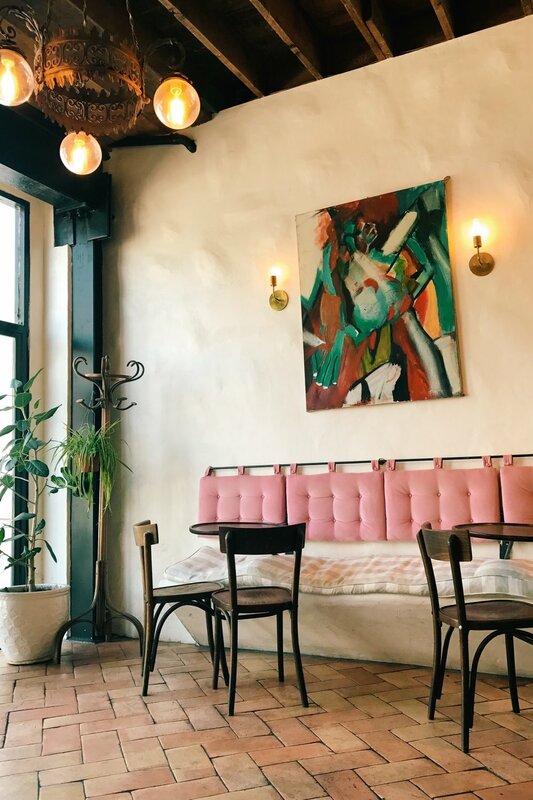 @trnknyc is a shop I need to visit at some point, the co-founders, Tariq and Nick have impeccable taste (and carry Modernica, but this is not a sponsored post!) Their blog is one of my favorites, I could easily live in any of the homes they've featured. @the.archers.inc is another great one to follow, as is @esotericsurvey though I feel everyone already follows them. Click here to follow Ingrid on Instagram to see more of her lovely images. Ingrid Hernandez-Morrison was born in Honduras and raised in Los Angeles. She returned to Honduras for college to study architecture. She has since come back to the US and currently resides in Los Feliz, California where she works for furniture manufacturing company, Modernica.